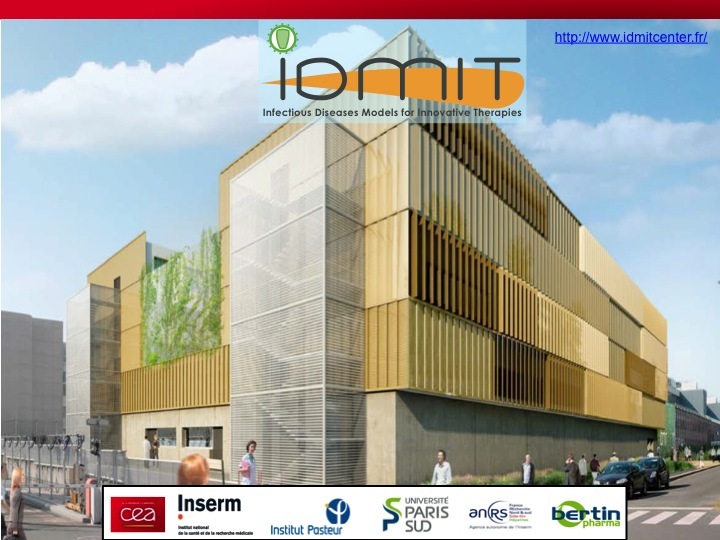 IDMIT, for “Infectious Disease Models and Innovative Therapies” is a national Research and Technological infrastructure for biology and health dedicated to preclinical research on infectious diseases (Executive Director: Dr. Roger Le Grand). IDMIT results from the joint motivation and expertise of the Life Sciences Division of the CEA, Institut Pasteur, Institut National de la Santé et de la Recherche Médicale (Inserm), Agence Nationale de Recherche sur le SIDA et les Hépatites Virales (ANRS), Université Paris Sud 11 (PSUD-11) and the private company Bertin Pharma. IDMIT is a unique center in Europe dedicated to infectious disease modeling and preclinical development. 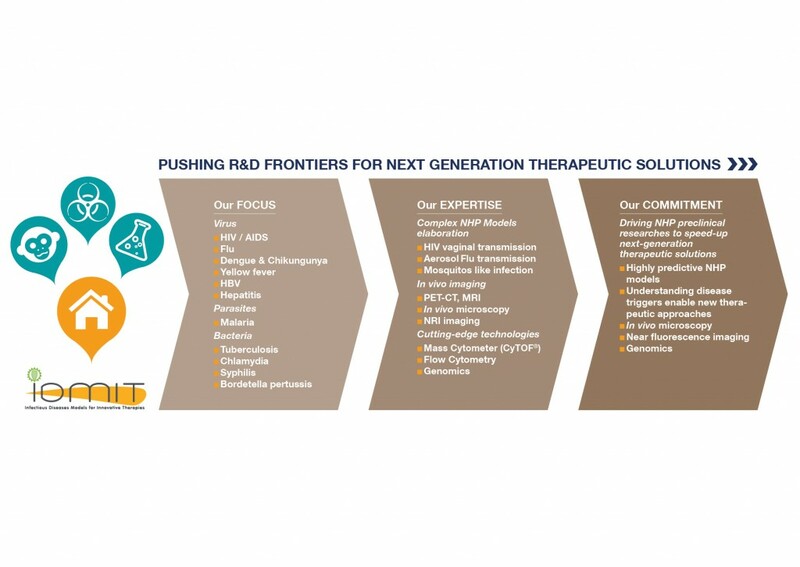 IDMIT develops preclinical research programs on human vaccines and antimicrobial treatments and provides our academic and industrial partners with access to facilities and cutting-edge equipement for R&D projects. 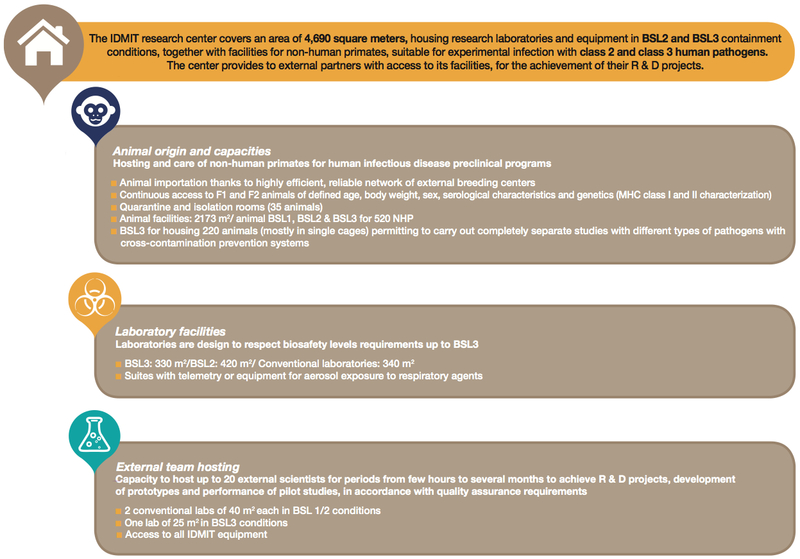 The major objective of IDMIT consortium is to provide the national and international scientific community with a highly competitive infrastructure for preclinical research, facilitating the discovery of markers of safety and efficacy for new vaccines and treatments and accelerating the translation of innovations from the bench into clinical practice.